TarotSeek™ Review: Read Tarot Cards For Yourself Get it here, NOW… don’t spend another day not knowing if your self tarot readings are accurate! What TarotSeek does is to give you a method which works in spite of your logical side butting into the conversation! 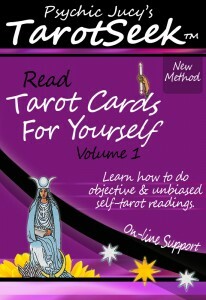 The eBook was developed to help both professional tarot readers and complete newcomers – which is why the earlier sections of the book seem (to the initiated) overly simplified. Yet, the book is easily skimmed so that you can get past that if you so desire. As with the mantic arts of astrology, numerology, and the like, Tarot presents itself as a marvelous divination tool that is deceptively simple to the curious. So much so, at times, that one wonders how could someone have access to such mystery. Surely it must be easier than studying old bones or reading planetary charts? TarotSeek provides a lengthy section on how to formulate questions for a variety of topics and then includes examples of questions under each topic heading. I wish EVERY tarot book would do this as a matter of course. I have to often email clients once they’ve ordered to help them to revise their questions in such a way so the tarot can address them properly and accurately. Professional readers should read TarotSeek so they can see just how easy it is to formulate really good and specific questions that will help the tarot to get to the heart of the matter under question instead of providing vague or difficult to follow answers. 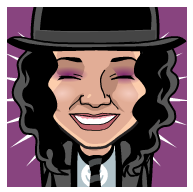 — Read FULL review of TarotSeek from Nefer Khepri of Magickal Musings — Nefer Khepri is a professional Tarot Reader.